﻿ Hyatt Place Chicago O'Hare Airport, Chicago (IL) | FROM $107 - SAVE ON AGODA! "Room accommodations and breakfast was great." Have a question for Hyatt Place Chicago O'Hare Airport? Located in the lovely area of O`Hare International Airport, Hyatt Place Chicago O'Hare Airport enjoys a commanding position in the sightseeing, transportation hub, business hub of Chicago (IL). The property lies from the city center and provides accessibility to important town facilities. With its convenient location, the property offers easy access to the city's must-see destinations. 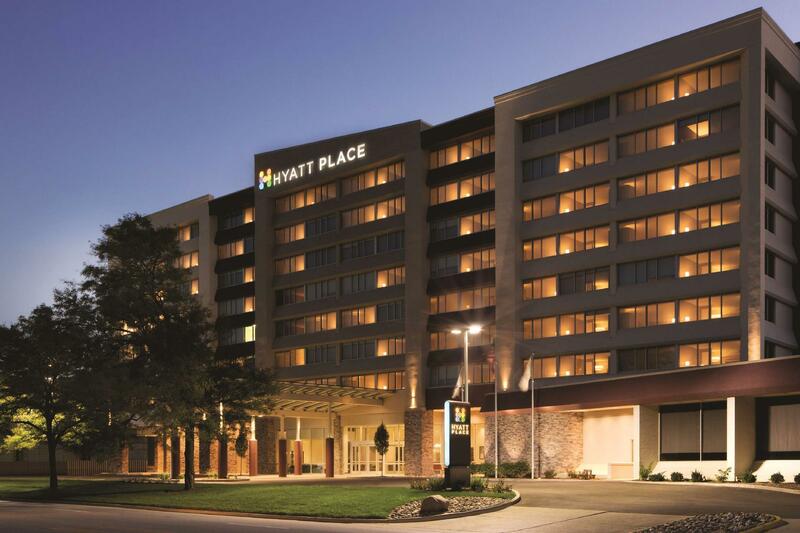 The facilities and services provided by Hyatt Place Chicago O'Hare Airport ensure a pleasant stay for guests. For the comfort and convenience of guests, the property offers free Wi-Fi in all rooms, daily housekeeping, wheelchair accessible, 24-hour front desk, facilities for disabled guests. Guests can choose from rooms, all of which exude an atmosphere of total peace and harmony. The property's host of recreational offerings ensures you have plenty to do during your stay. Superb facilities and an excellent location make Hyatt Place Chicago O'Hare Airport the perfect base from which to enjoy your stay in Chicago (IL). It was too noisy to sleep well because of the high speed cars on the high way and airplanes to land the airport Ohare. The hotel location is near high way and Ohare airport. Airplanes fly over the hotel very close to the hotel roof. Baseng, fittness, plass til seks. God pizza til kvelds og frokostbord, hva mer kan man forlange for 1200 nok.